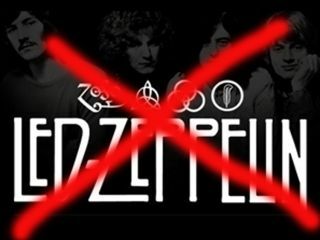 A week after John Paul Jones confirmed that he and Jimmy Page are continuing their search for a new singer, even Led Zeppelin fans have decided they shouldn't bother. Over 1200 fans voted in this week's MusicRadar poll, and 42% said the 'band' should not even bother touring without Plant. More worryingly, only 3% of voters thought Alter Bridge's Myles Kennedy would be a decent choice for a new singer. According to Twister Sister singer Dee Snider, Kennedy is favourite to become the new singer. Which is not particularly good news for Jimmy Page and Robert Plant. Though it could be good news for Axl Rose. Back in September, 46% of Velvet Revolver fans voted he should join them instead of continuing with Guns N' Roses, and he's now got more votes to join an even bigger band. Axl joining won't happen, of course. But, if Page and John Paul Jones do persist with a tour, who else would you like to see singing Stairway To Heaven and the rest? Leave your suggestions!